As we’re into the holiday season, soon to be the new year, all of us are spending quality time with our family and friends to celebrate. Personally, I’ve been spending time with my new friends, my family, and my horse. Some of us haven’t stopped thinking about camp since August or maybe just started to think about next summer. 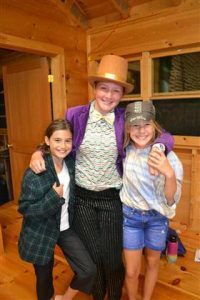 CIT’s have applied, and staff and campers are starting to ask themselves “do I want to go back to camp?” And you might think you don’t want to go back. You’ll be thinking to yourself, you have your family and friends at home that you’re gonna miss, and you’ll miss opportunities at home. Perhaps you think about camp and remember those first few days that were tough, a small disagreement with a shackmate, or something that was hard to do the first time, like getting up on the windsurfing board or making a bowl on the pottery wheel. But as the time gets closer to camp, you’ll probably change your mind. You’ll remember how the lake feels every day when you get in for swim lessons, your first bullseye in archery, the exhilarating feeling you get when you’re riding for your blue or white team in the horse show. 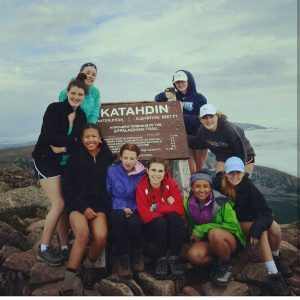 You’ll remember your shack trip, whether you canoed to Oak Island or climbed Mount Katahdin. Most of all, you’ll remember all of your friends at camp. You’ll remember the first day you met them and the last night when you’re sitting together, listening to the staff sing. 2019 will be my 10th summer at camp and I can’t imagine spending it anywhere else. There have certainly been ups and downs each summer. I’ve had bumps and bee stings on trips, missed the target more times than I can count, and experienced hurt feelings when my friends and I disagree. But those are all temporary and far eclipsed by the memories and friendships I’ll have for a lifetime. Camp has taught me perseverance, self-reliance, and that the journey is just as important as the goal. The Camp Decision – Is it Time? And Which Camp?! Camp is Coming to Life and Summer is Almost Here! Count Down to Runoia 2016!